WELCOME to our line of chakra bracelets now available on our website!!!! 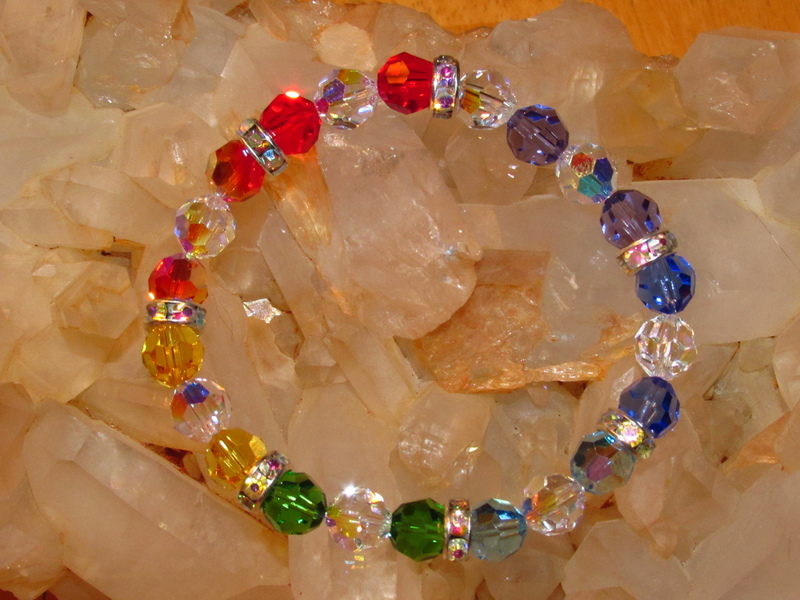 Made in the United States by spiritual artisans with 100% Swarovski crystals, these bracelets have been available at our workshops and are now here for you. All bracelets are blessed with water from the healing grotto at Lourdes, France. Included with the organza bracelet bag are affirmations and instructions about chakra balancing and energy combinations. WHICH HAND? The right and left hand signify different energy. Your left hand is the receiving or “yin” hand. 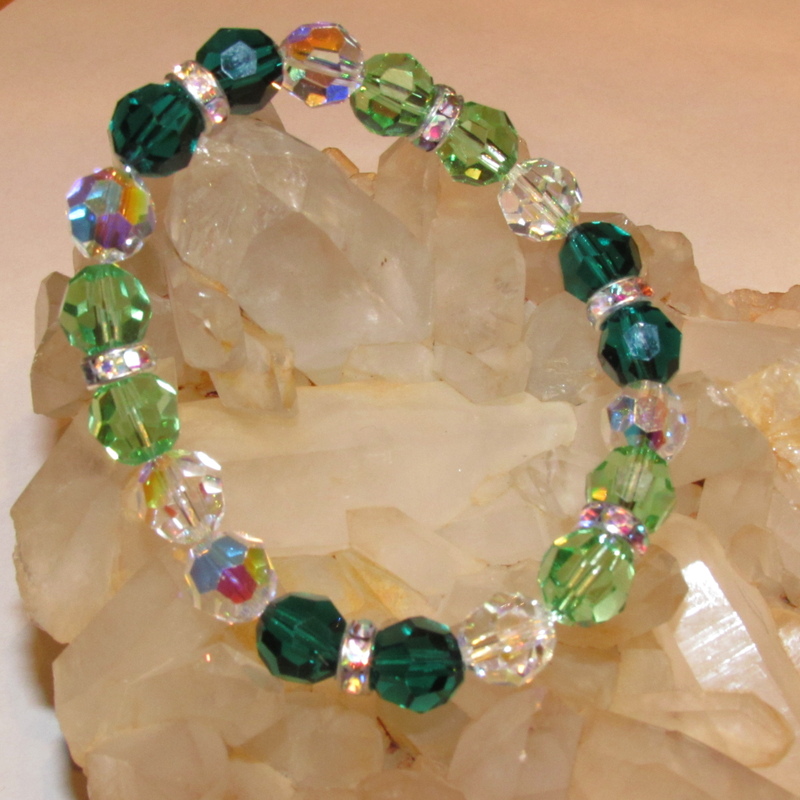 Wearing the bracelet on the left hand will help to bring the energy toward you. The right hand is the expressive or “yang” hand. Wearing the bracelet on the right hand will send that energy out toward the world. When your situation warrants a change, change the hand on which you are wearing the bracelet. These bracelets will help you focus your mind and energy. LOCATION, LOCATION, LOCATION! The Plain of Neptune is found at the center of the palm between the Plain of Mars and the wrist. Stimulation of the Plain of Neptune can help heighten psychic abilities, uncover the unconscious mind and help understand the ancient mystical laws and inner talents. The Plain of Neptune can be simulated by placement of a gemstone during meditation and/or by the use of jewelry. A loose, flexible, chainlike bracelet, which would fall low upon the wrist, is best for this purpose. Place upon your bracelet a gemstone, charm or amulet, which represents to you (by vibration or symbolism) that area of metaphysics, psychism, subconscious energy, or undiscovered inner talents that you would most like to experience (left hand) or express (right hand). Now move that stone or amulet along the chain so that it rests on the inside of your wrist at the center. With your hand down at your side, the stone or charm should then fall directly upon the Plain of Neptune. Always repeat the appropriate affirmation to that stone whenever you happen to touch your gemstone or charm; for – no matter how the stone vibrates – its energies are there to help you trigger the conscious focus of your own divine eternal powers.